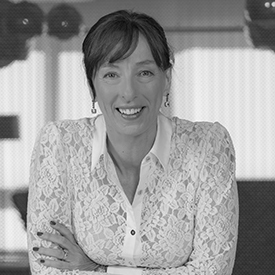 Trudy has over 30 years of success in the IT industry with roles spanning global sales, marketing, channel and partner strategies, business development, and portfolio transformation. As Microsoft’s leader for CityNext and for business development for its government business, Norris-Grey heads a team focused on digital transformation - including creating, incubating and accelerating new markets and new business models in service of public-sector customers as their operations and responsibilities evolve and change. Prior to assuming her current role, Trudy held leadership positions at Microsoft, Oracle, Sun Microsystems, and BT. In all these positions she was a champion of the customer and its partners, seeking out insight into their unmet needs in order to better serve them, to help them overcome their challenges and in turn work with them to grow their customer satisfaction, revenue and profit. In 2012, Trudy joined Microsoft as General Manager overseeing the public sector business in Central and Eastern Europe. In her spare time, Trudy is a passionate advocate for the development of skills and enterprises so that they can be continually relevant in the era of Industrial Revolution v.4.0; the encouragement of women and girls to consider careers in science, engineering and technology; climate change. She is Chair of WISE, a UK-based organization which seeks to add 1 million more women to the UK STEM workforce. She has also served as Chair for the Confederation of British Industry’s (CBI) Committee on Innovation, Science & Technology; a member of the UK’s National Careers Council; editor and contributor to the Wilson and Shadbolt Reviews; a member of the oversight committee for the UK’s national Technology Strategy Board and was a founding member of the CBI Leadership Group on Climate Change. She also sat on an advisory panel for the Welsh Government in the finance and professional services sector. A native of Swansea, U.K., Trudy & her husband have three children.